Perhaps the most extraordinary aspect of President Obama’s announcement Thursday that two hostages of Al Qaeda, an American and an Italian, were killed in a US drone missile strike in Pakistan is the lack of any significant reaction from official political circles or the media. There was a certain amount of tut-tutting in the press and expressions of sympathy for the family of Dr. Warren Weinstein, the longtime aid worker in Pakistan who was kidnapped by Al Qaeda in 2011 and killed by the US government in January 2015. But there was no challenge to the basic premise of the drone missile program: that the CIA and Pentagon have the right to kill any individual, in any country, on the mere say-so of the president. Drone murder by the US government has become routine and is accepted as normal and legitimate by the official shapers of public opinion. What a farce! Far from admitting “mistakes,” Obama, the political front man for the military-intelligence apparatus, was making clear that the drone assassination program would continue and no one would be held accountable for the latest atrocity. Today’s America is “exceptional” only in the degree to which the entire ruling elite has embraced a policy of reckless violence around the globe that includes murder, torture and aggressive war. The United States is run by criminals. A major test of any American president is readiness to approve state killings in his or her capacity as the political representative, not of the American people, but of a cabal of generals and CIA assassins. How much longer before such actions are carried out not just in remote parts of Afghanistan or Yemen, but in major urban centers of major countries, including, ultimately, the United States itself? The drone strike in Pakistan’s Shawal Valley that killed Weinstein and Lo Porto is part of an unending campaign of death and destruction. Obama did not even have to sign off on this particular missile strike, since he has given the CIA blanket authority to conduct such operations in the predominately Pashtun-populated Federally Administered Tribal Areas of Pakistan. The claim that drone attacks target individuals designated by the US military-intelligence apparatus as “terrorists” is hardly a limitation, given the indiscriminate application of this term to anyone offering significant resistance to US foreign policy, as well as the cynical practice of posthumously applying the label of “enemy combatant” to any military-age male killed by a US drone-fired missile. Moreover, as events in Syria and Libya demonstrate, yesterday’s anti-American “terrorist” can become today’s “rebel” or “freedom fighter,” the recipient of US cash, military training and weaponry. Similarly, today’s “freedom fighter” or ally in the “war on terror” can become tomorrow’s target for overthrow or assassination. The CIA recruited Al Qaeda sympathizers for its overthrow of the Libyan regime and murder of Muammar Gaddafi, formerly an ally, and for the ongoing regime-change operation against President Bashar al-Assad in Syria. The latter effort gave rise to the Islamic State in Iraq and Syria, in which terrorists turned “rebels” were subsequently branded terrorists, in accordance with the twists and turns of US foreign policy. Obama administration officials have confirmed that the drone missile attack that killed Weinstein and Lo Porto was a “signature strike,” in which targets are not identified by name, but selected on the basis of a pattern of activities supposedly consistent with those of a terrorist group. The CIA carried out a drone missile attack that killed six people, including Weinstein and Lo Porto, based on aerial observation of the comings and goings at the building targeted, without actually knowing who was there or what their relation, if any, was with Al Qaeda or the Taliban. Such attacks are in flagrant violation of international law. The US is trampling on the sovereignty of Pakistan, Yemen, Somalia and other countries where it carries out such strikes. Drone missile murders are war crimes under the Geneva Conventions, which forbid deliberate attacks on civilians or military operations that recklessly endanger civilians. 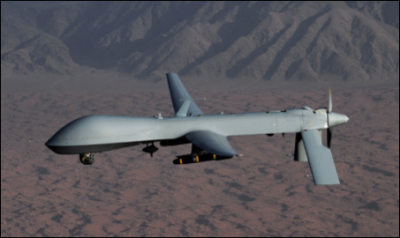 According to a study by the human rights group Reprieve, US drone missile strikes targeting 41 supposed terrorists killed a total of 1,147 people, including many women and children. Not a single significant voice in the US political or media establishment has been raised against the elevation of assassination to a major element of American foreign policy. In the 1970s, when the US Senate’s Church Committee held hearings on CIA assassination plots against a handful of foreign leaders, its revelations had the capacity to shock. There was a reaction even at the highest levels of the political establishment, and the White House was compelled to issue an executive order disavowing murder as a tool of government policy. Today there is no such reaction. On the contrary, earlier this month the Timesrevealed that congressional leaders had put pressure on the White House and CIA for more acts of drone missile murder. Describing discussions about whether to kill or capture a Texas-born Islamist who had joined Al Qaeda in Pakistan, Mohanad Mahmoud Al Farekh, the Times reported: “During a closed-door hearing of the House Intelligence Committee in July 2013, lawmakers grilled military and intelligence officials about why Mr. Farekh had not been killed.” (See: “US targeted second American citizen for assassination”). The American media is well aware of the drone missile death toll, but covers it up. An article Friday in the Times noted that the White House refuses point-blank to discuss civilian victims of drone missile attacks when they are Pakistani or Yemeni. “When Americans have been killed, however, the Obama administration has found it necessary to break with its usual practice and eventually acknowledge the deaths, at least in private discussions with reporters,” the newspaper wrote. The lack of any significant protest of the latest revelations of US war crimes is a warning to the working class, both in the United States and internationally. As the World Socialist Web Site has consistently warned, the war drive of imperialism is inseparably linked to a frontal assault on democratic and social rights. The struggle against war and in defense of democratic rights requires a turn to the working class, the only social force capable of disarming the ruling elite. That is the purpose of the International May Day Online Rally called by the International Committee of the Fourth International for Sunday, May 3. We urge all readers and supporters of the World Socialist Web Site to register for the rally today.